Meet the Maker is a new blog series on The Dapple featuring Q&As with the small businesses, artisans, and makers who are crafting unique products for dogs and dog lovers. Know someone we should include? Email us at email@thedapple.com. Today on Meet the Maker, we're talking with Sam Brochhausen, the creator of a healthy new dog treat line, Lola's Dog Treats. 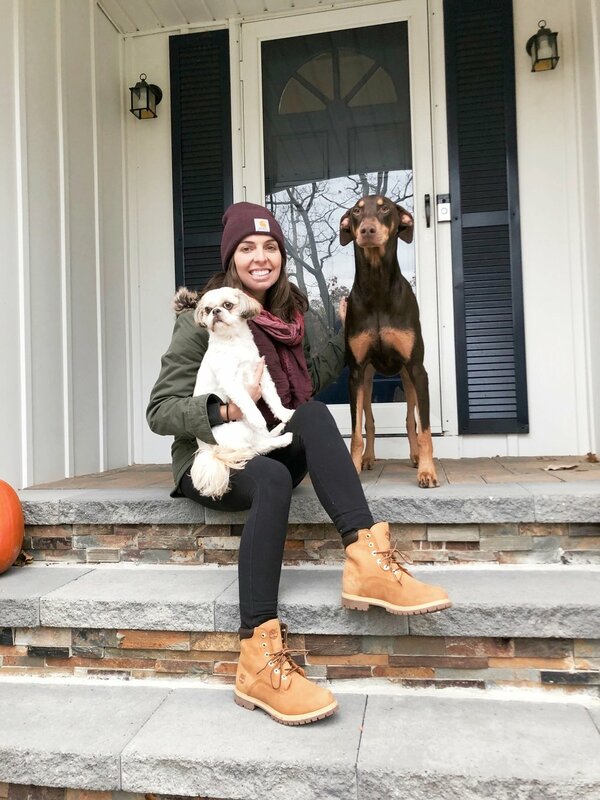 Sam lives in Northport, New York with her husband, Jason, five-year-old Shih Tzu, Welli, and her one-year-old Doberman, Lulu. Tell us what you make. We make all natural, gluten-free dog treats. Because our treats are handmade with fresh ingredients, they can be baked to perfection for the ultimate balanced texture. What inspired you to create Lola's Dog Treats? My pup Lulu was my inspiration. Because of her allergies, I could never find a treat she could really enjoy—so I decided to bake one for her! Both recipes include organic coconut oil and an Omega-3 supplement, which helps with allergies, as well as your pup's skin and coat. Lulu has benefited from both recipes, and there's nothing better than a healthy, happy pup. Because my treats are all natural, gluten-free, and preservative-free, it's really satisfying knowing I've created something that can help pups and also make them excited for a treat. It's a treat for me! What’s your process for creating a new recipe? The process for creating a a new recipe is simple because I like to stay within the family of ingredients my main recipes use, which are human-grade and all natural. When I'm trying a new recipe, I'll add one or two new ingredients to the mix to keep the taste different for the pups. It's really great having Lulu and Welli as my assistants, they are picky treat testers, so I know a recipe is scrumptious when they love it! Any exciting upcoming plans for Lola's Dog Treats? Yes, Lola’s Dog Treats will be accepting pup-ambassadors shortly! More details will be coming soon. 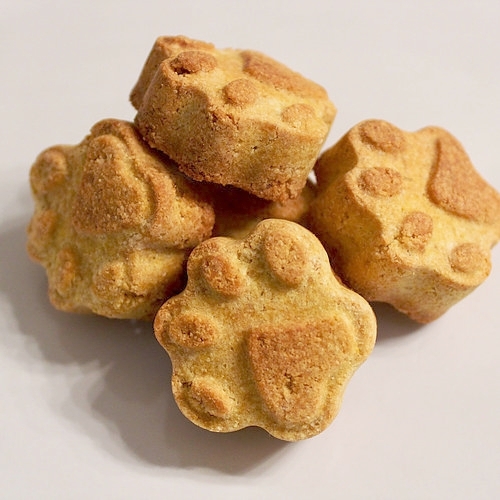 Also, it's a secret but… we will be ringing in the new year with a new dog treat recipe! New year, new treats, happy pups! What’s your favorite product you're selling right now? I can't say that I have a favorite product, but I can tell you we have a best seller. Our Training Peanut Butter Pumpkin Bites are a favorite with customers. The training treats are a small heart shape—perfect for pups of any size. Where did the name Lola's Dog Treats come from? Our name was inspired by an amazing horse I owned for fourteen years, Lola. When she was 26 years old, she passed away. To always remember Lola, I wanted to incorporate her name into my new dog treat business. Combining my love for Lola and my love for all dogs made it an easy decision. Lola was truly one of a kind—and so are my treats! Where can our readers buy Lola's Dog Treats? Our treats are sold online at www.LolasDogTreats.com. Questions? Think you would be a great Meet the Maker feature? Let us know in the comments or by email at email@thedapple.com.